Follies are sculptural towers from the 18th century in English parks. These buildings had no function, but simply delighted the viewer. 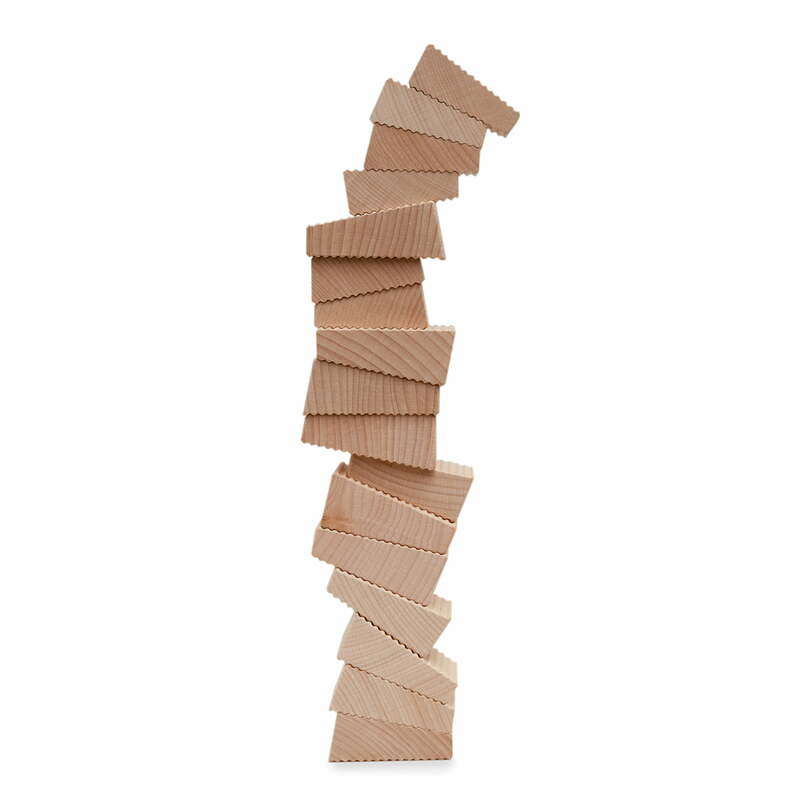 The Follies stacking game by Lessing Produktgestaltung encourages children and adults to actively build towers – alone or with two people. The aim of this game of skill is to balance the tower and pile all 18 bricks on top of one another. 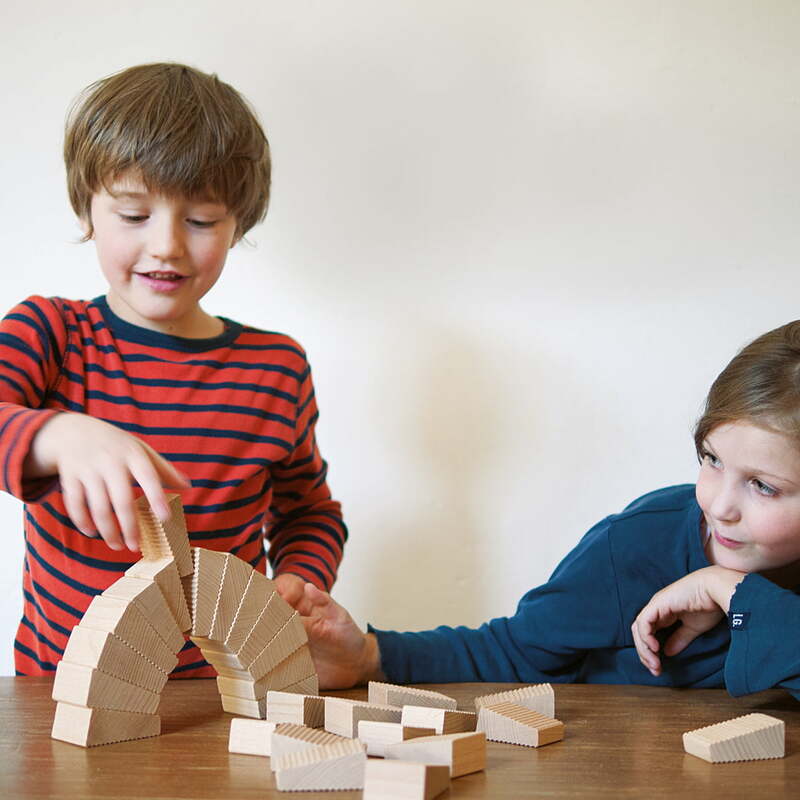 Played together, each person tries to place their bricks so that the playing partner's next move causes it to tumble. 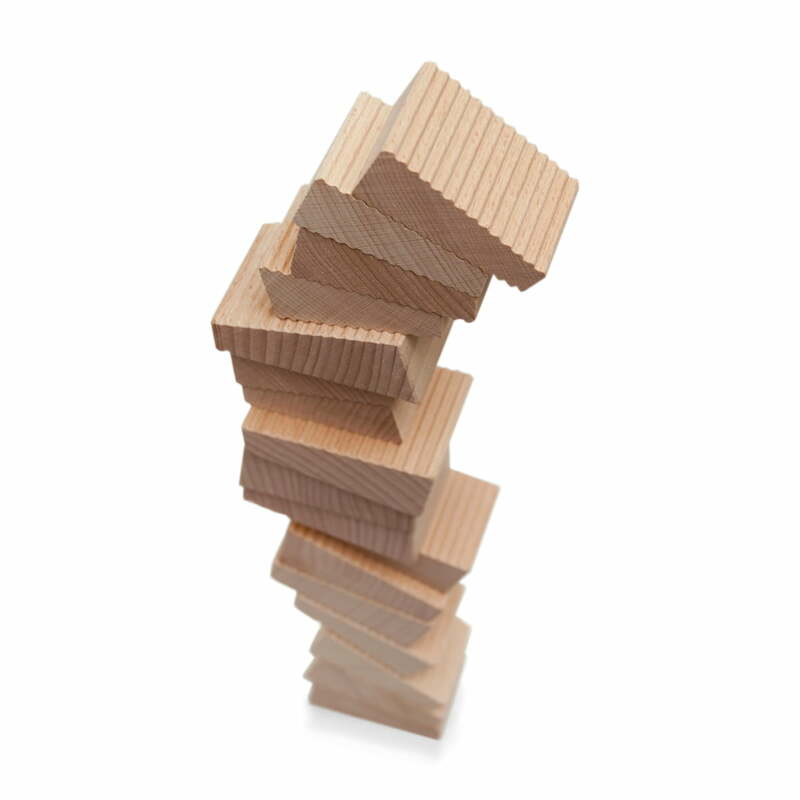 Because if the Follies tower falls on your move, you lose. 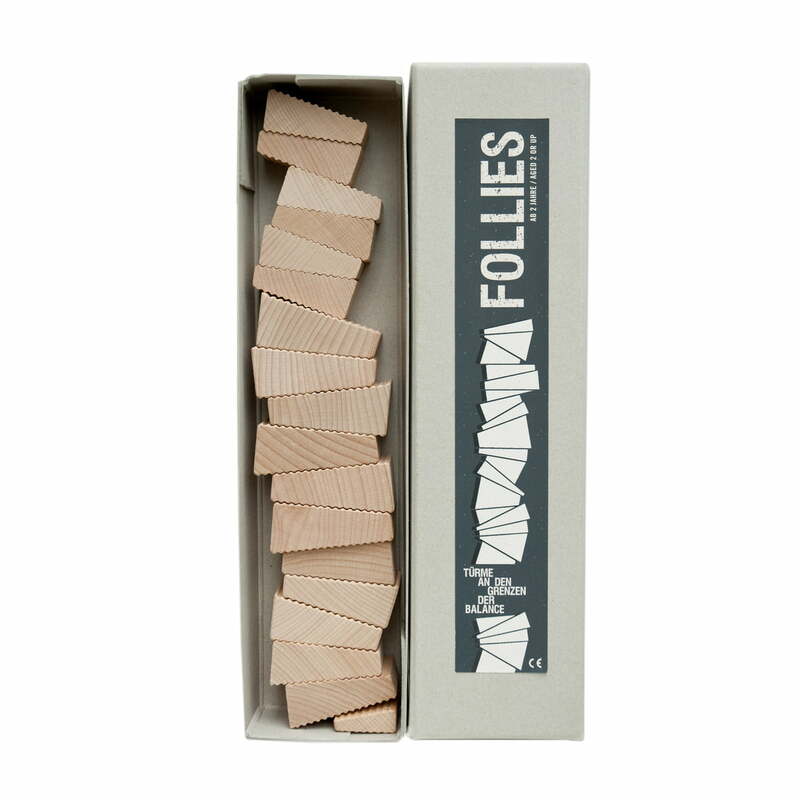 Follies is made of 18 different wooden bricks of untreated beech wood with a grooved surface. 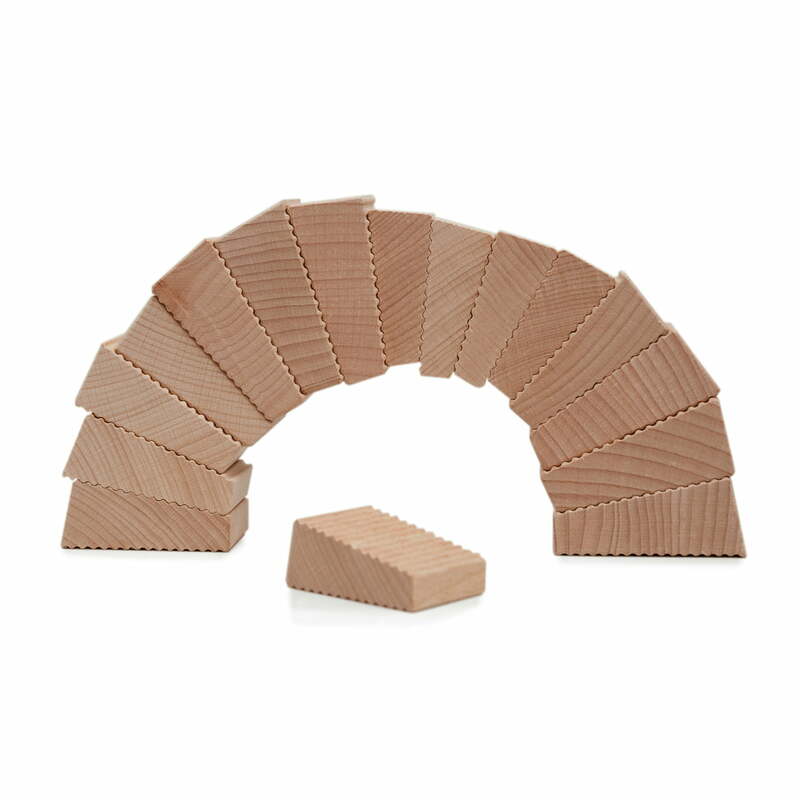 Lessing Produktgestaltung produces the Follies game of skill in Germany.